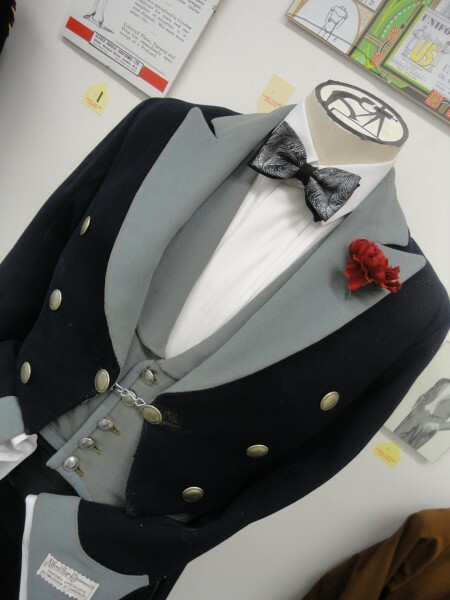 Our exhibition of original vintage cinema uniforms recalling the great days of fashion, tailoring and “going to the pictures” ran for 6 months from April-October 2013. Our guest curator was the clothing designer and film historian David Trigg. Some of the uniforms are still kept in the Museum. The rest are in storage, and are occasionally loaned out to other exhibitions. To accompany the exhibition, David’s book Cinema Uniforms – Sartorial Elegance at the Picture Palace, is still available. It includes a preface by Virginia McKenna OBE and a bonus section devoted to vintage cinema seating, carpets and draperies. Copies can be obtained from our online shop, or from the bar and bookstall open at all Museum events. For a closer look, see the video below.